I will sing of your love and justice, LORD. I will praise you with songs. 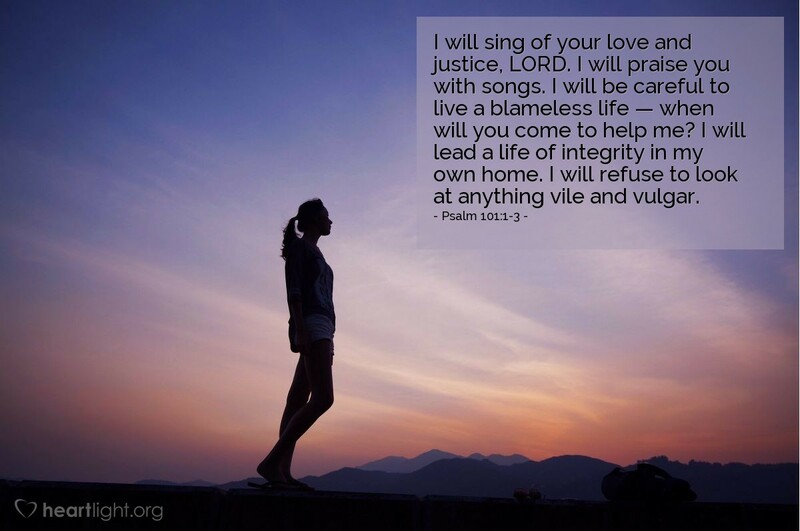 I will be careful to live a blameless life — when will you come to help me? I will lead a life of integrity in my own home. I will refuse to look at anything vile and vulgar.